No matter what kind of business you’re in, conversions are king. The bottom line of any business is making money, and the root of that money is how well your product or service converts. Even if you’re just in the business of advertising affiliate products, you can work on your own conversions in your email marketing, your videos, your reports, or any other marketing materials you use. It’s unfortunate that so many people ignore conversions as being a minor thing. Really, they’re not minor at all. Let’s look at an example of how a small change in conversions could mean a big difference in profits. Let’s say you make a minor change to your call-to-action that nets a modest increase in conversions from 4% to 5%. At 4%, you might be making four sales at $50 commission per 1,000 visitors to your site. That makes you $200 in commission. But at 5%, you’d be making 5 sales, for a total of $250 commission. A difference of 1% may not seem that big, but a difference of $50 seems more significant, doesn’t it? In this report, you’re going to learn some simple, yet astoundingly powerful ways to improve your conversions, no matter what type of marketing you’re doing. You’ll learn to improve sales pages, emails, blog posts, videos… just about anything you can think of! There are a lot of simple ways to improve conversions, and there are a few more advanced methods that we’ll take a look at later. For now, we’re just going to examine a few things you can easily change for quick results. Your headline is the most important element of any marketing piece. If you have a sales page or landing page, you’ll have a standard headline. If you’re doing email marketing, your headline is your email subject. In video marketing, it’s your video title or the opening intro. Your headline is the first thing people see or hear from you, so it needs to be compelling, powerful, and exciting. Too many people make the mistake of creating what they think is a great headline, but just because they think they would respond a certain way doesn’t mean the average visitor would. We’ll talk more about split testing later, but your headline is one of the things you should split test in order to see which of several options leads to the best conversions. Aside from your headline, the call-to-action is one of the easiest changes you can make, and also one of the most powerful. Your call-to-action is where you actually tell visitors what action you want them to take next. If you don’t have a call-to-action, you need to get one! Each variation is similar to the original, but shifts focus slightly with minor changes. Remember, minor changes can sometimes equal big conversion boosts! Believe it or not, but something as simple as including contact information on your website can improve conversions… sometimes to a massive degree. You see, so many people have been scammed online by companies they had no way to contact that they have become wary of such things. It’s comforting when you display your contact information prominently, because they at least have the sense of security that comes from knowing they can get in touch with you if there’s a problem. Not only that, but if you include a phone number and/or address, you’ll go a long way toward convincing visitors that you’re a “real” company. Most sales pages these days have guarantees, but did you know you can also use guarantees in other ways? For example, if you are an affiliate, you can offer your own guarantee by telling people if they buy and don’t like the product, they can not only get a refund through the company’s guarantee but that you’ll give them some kind of bonus of your own. This could be a free report, access to a membership site you own, a few bucks out of your own pocket, etc. Most people will never collect on this, anyway. But be sure you can deliver what you promise just in case someone actually does. Also, keep in mind that longer guarantees can improve conversions significantly. A 90-day guarantee is much more powerful than a 30-day guarantee. Hold on, don’t panic! Studies have shown that longer guarantees actually lessen refunds, because most people end up forgetting about the guarantee after such a long time period, and if they do remember, it’s usually too late to claim it. Plus, a 90-day guarantee helps minimize chargebacks, too, because many credit card companies won’t allow chargebacks after 90 days. One very simple way to give conversions a quick boost is to improve your credibility rating by using those “trust” seals you see on some websites. You can get these from places like the Better Business Bureau and Verisign. Believe it or not, these simple seals actually do help people trust you, and can definitely improve conversions. Colors and fonts and other design elements can have a big impact on conversions, and the fact is, the “obvious” design choice isn’t always going to convert best. Most sales pages for golf products use the color green because of the green color of the grass on a golf course, but did you ever wonder if that color actually helps sales? It may. Then again, it may not. Sometimes the “obvious” choice could actually hurt sales. For example, you might choose red for a product geared to help women with their romantic lives, but psychologically red doesn’t only signify romance, it also signifies power. It could potentially have the psychological reaction of making women fearful if they’ve had controlling, power-hungry men in their past. Then again, red might work. That’s another reason why it’s important to test various things to see what works. Also, keep in mind that beautiful designs may boost your ego and make you feel proud to own your site, but they don’t always help conversions. Sometimes the simplest, ugliest designs can convert much, much better than something “pretty”. Test various graphics, colors, and even fonts. You never know what minor changes might increase your conversions significantly! In addition to the simple, basic methods of boosting conversions, there are also a number of advanced tactics you can use to increase your conversions even more. 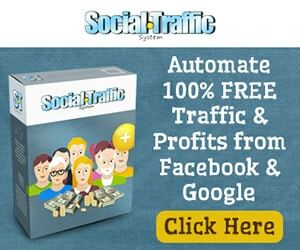 These methods are being used successfully by the world’s top marketing experts, and it’s because they work! But you don’t have to be a big-time marketing guru to use these tactics. Anyone can use the same methods they use to increase conversions considerably. 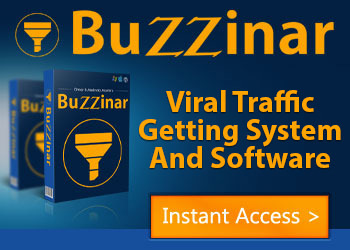 Best of all, these tactics, while advanced in nature, are actually really simple to employ on your own websites! So let’s take a look at some of the advanced methods you can use to boost your conversions. Scarcity is a tactic you’ve probably seen on sales pages before. There are many different methods of scarcity, but they all work basically the same. You tell your visitors that they must purchase within a set timeframe, or they lose out on some big benefit. What type of benefit could they lose out on? Basically, you need to give users a real incentive to buy NOW. Sure, people may leave your site and come back later to buy. But the majority of people who leave your site will NEVER come back. If you want to get the sale, you’ve got to get it immediately. Don’t give them a chance to leave without buying right this minute! Scarcity really is the most powerful method of getting sales, because no one wants to lose out on something. It’s human nature. We hate to miss out on stuff. By using scarcity, you’ll motivate people to make a decision right away instead of thinking about it, and this will probably improve your conversions more than anything else. Believe it or not, offering visitors something for free can actually be one of the most powerful sales motivators you’ve ever seen, because it’s all about reciprocity. You see, most people have a sense of conscience. When someone does something nice for them, they feel they need to do something nice in return. For example, if someone in a grocery store gives you a free sample of a product, you feel somewhat obligated to buy the product. Some people will buy it even if they don’t like it simply to avoid hurting the person’s feelings who gave them the free sample. Others may like the product and decide to buy it partly for that reason, and partly because they feel obligated. Some won’t buy at all, but a lot of those people still feel some guilt. The same thing may happen in a mall food court. Someone offers you a taste of their food, perhaps some sesame chicken, and then you end up eating Chinese food instead of the burger you originally decided on. You can even make the sense of obligation even stronger by subtly mentioning that you just gave them something for free. Companies use this all the time. Have you ever gotten a free trial of something and the company sent you a message saying, “We hope you’re enjoying your free, no-obligation trial!” They’re reminding you that they’ve given you a gift, subtly hinting that it’s time for you to reciprocate by purchasing the full version. The great thing is that it doesn’t have to be anything of significant monetary value. Something very small can accomplish the same effect. For example, a short free report or even a 10-cent ink pen. You’ve given them a gift, and they feel they need to reciprocate. You may have heard that word-of-mouth is the best type of marketing, and that’s true. It’s because people trust each other a lot more than they trust marketers. Of course, it’s no wonder that’s true. It’s human nature to be skeptical in the first place. When you add in the number of marketers who are less than honest, and the fact that they are out to make a profit… well, let’s just say it’s smart to be skeptical! • Testimonials – These alone probably won’t do much unless you make them more real by adding contact information, photos, and ideally if the people giving them happen to be well-known. • Video Testimonials – Video testimonials are even more powerful, because visitors can see they are real people. Sure, it could be your mom and favorite cousins to start out with but as long as they honestly like your product, it could only help. • Off-Site Reviews – If you can get real people to offer their own reviews on their own websites or blogs, it’s even more powerful. This is especially true if those reviews are unbiased. It’ll get visitors pre-sold before they come to your site, and you can even link to those reviews from your own site. 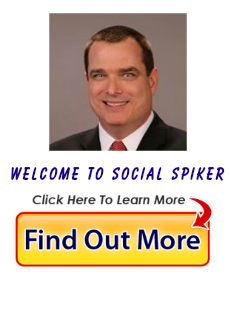 • Case Studies – Another very powerful type of social proof is the case study. If you can find real examples of people who have used your product or service and it benefitted them greatly, these case studies can really boost conversions! On-page popups are not blockable the way standard popups are, and they’re also more effective because they seem more likely part of the page. They are also known as lightbox popups, or they can be slide up popups or other types. A one-time offer presents an offer on a very limited basis. It’s a type of scarcity tactic, which we talked about earlier, but it’s more compelling than some, because it promises to never present the offer again. OTOs are usually presented after a purchase, so they don’t necessarily boost initial conversions, however they are incredibly powerful at boosting sales of a more high-end product or add-on product once you’ve gotten the user to buy something cheaper or simpler. Did you know that most online sales pages only offer one standard payment option, such as credit card or PayPal? Some may offer two. A few offer three. But the more options you offer, the better. Not only that, but if you have a very expensive product, you might consider offering a payment plan. For example, Amazon has started offering payment plans for their Kindle Fire tablet device, because a lot of people felt that $200 or more was too much to spend all at once. So they break the payments up, making it much easier for people to buy. A USP is a unique selling point, also known as unique selling proposition. Basically, it’s what sets you apart from your competition in the eyes of potential customers. Keep in mind that a USP does NOT have to be unique to your product. It might actually be present in ALL of your competitors’ products. However, it’s unique to your company because you point the feature out and they don’t! A famous example of this is when Claude Hopkins took a tour of the Schlitz beer plant. During the tour, he noticed the empty bottles were being sterilized with steam. The plant manager told him he couldn’t use that in the marketing, because every beer company did this. However, Hopkins realized that the average consumer wouldn’t know this, and when he added this information to the Schlitz campaign, sales soared! So it isn’t necessarily about being unique, but about presenting something as unique to your customers. Split testing is the process of taking two or more variations of something and testing them to see which one performs best. It is also known as A/B testing or multivariate testing. Split testing can be used to test nearly any aspect of a website’s performance, but it is most commonly used to testing things such as signup forms, registration pages, calls to action, headlines, designs, checkout flow, etc. You can actually use split testing software to run your tests, or you can do them manually by testing conversions on a page, then switching it out manually and testing again. However, keep in mind that you’ll generally need more traffic to get an accurate result than you would if you used software to test, because testing can run simultaneously… side by side. Optimizely.com will allow you to run various types of split testing, and it doesn’t require any special skills to set up and use. Conversions are critically important to any business, online or offline. Just a minor improvement to your conversion rate could end up meaning hundreds, thousands, even millions of dollars depending on the volume you do. Testing is vitally important, because you need to know for certain how your changes are affecting your conversions. The faster you know how your changes affected your conversions, the faster you can test other variations if you see no improvement. Never assume anything when it comes to your marketing. You may think you have the world’s most incredible headline, or the most beautiful design that ever graced the internet, but if they aren’t helping your conversions, they’ve got to go! The only way to know for sure is to test, test, test! Try out variations and see what works and what doesn’t. Pretty soon, you’ll notice your sales skyrocketing, and best of all, you’ll know exactly why, because your testing will tell you! Are You Ready to Video Like A Rockstar?